Art and Adventure: No Time To Blog Dr. Jones. No Time To Blog Dr. Jones. Not much time for blogging lately! 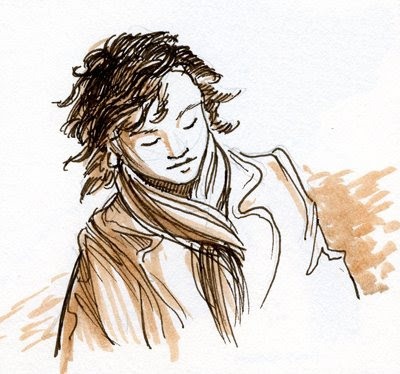 But I do have a few sketches from today’s coffee shop lunch (plus some geese). 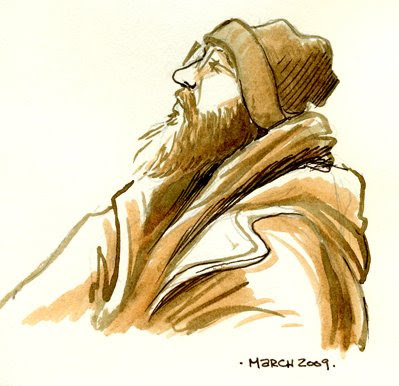 I had to be sneaky with the bearded guy -I’m pretty sure he didn’t know I was drawing him. 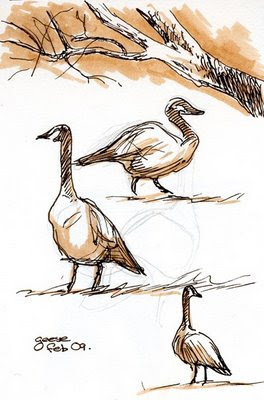 Unfortunately, the geese totally knew I was drawing them and they got all huffy about it and left. And I have a new favorite in music: Coeur de Pirate. Take a listen to the lovely french tunes and tell me it doesn’t make you want to hop about the room.